The quest for new windows can include any number of options. Those options may vary according to price and other considerations, as well. If you’re looking for replacement windows in the Queen Creek, AZ, area, rest very assured that there are local professionals who can walk you through some of these options and better inform you when it comes thereto. One of those options is fiberglass, and there is plenty to learn about fiberglass windows before making a final decision. So what should you know about fiberglass windows, and why should you consider them when planning your window replacement? Whether replacing windows that are broken or damaged or simply upgrading older windows, fiberglass window frames are very likely to make the final cut among your options. They have certainly become one of the most common options and for good reason. First, they’re particularly durable. Though made of plastic (like vinyl windows), fiberglass windows include tiny fibers of glass that strengthen that plastic. That means that whereas vinyl windows can last up to 30 years without needing replacement, fiberglass windows may last at least 50 years in a best-case scenario. That’s a long time. Is durability reason enough to prefer fiberglass windows? Maybe not. But if you plan on remaining in your home for a particularly long time, it is worth considering. 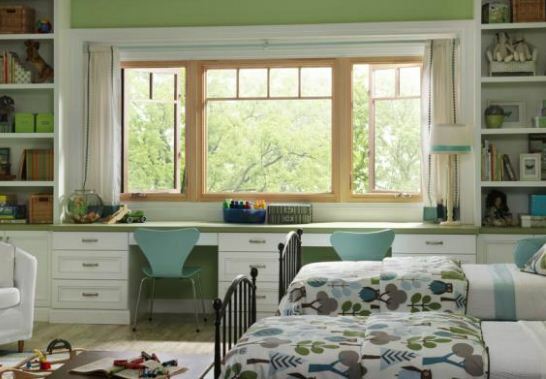 Fiberglass windows are also particularly strong, which means they are much less likely to warp over time. They’re also more resistant than vinyl windows when it comes to expanding or contracting due to temperature. This assures you added benefit when it comes to energy efficiency. That kind of benefit may not make a huge difference when it comes to the look and feel of the windows, but it can certainly make a difference to your pocket book—particularly over the course of time. And that’s a good thing in light of the every extent to which fiberglass windows are generally more expensive than their vinyl cousins. Indeed, price may be something of a deterrent when it comes to fiberglass windows. You should nevertheless consider energy savings when making a decision. They may cost more in the short-term, but they can certainly pay for themselves over the course of time. Remember, getting new windows also adds value to your home. That kind of equity can become more useful in the event you someday plan to sell your home. Letting prospective buyers know that you recently installed fiberglass windows could be a significant selling point. And while fiberglass windows may not add the same look as wooden frames, they generally require less maintenance—another key selling point for some. If you’re in the market for replacement windows in or near Queen Creek, AZ, consider reaching out to Cougar Windows & Doors. We have a long and proud tradition of serving our customers in a highly professional fashion. We are prompt and happy to provide support when it comes to making difficult decisions and weighing your various options. Please feel free to visit us at 3820 E Main St Ste 5, Mesa, AZ 85205 or place a phone call to (480) 699-9066.